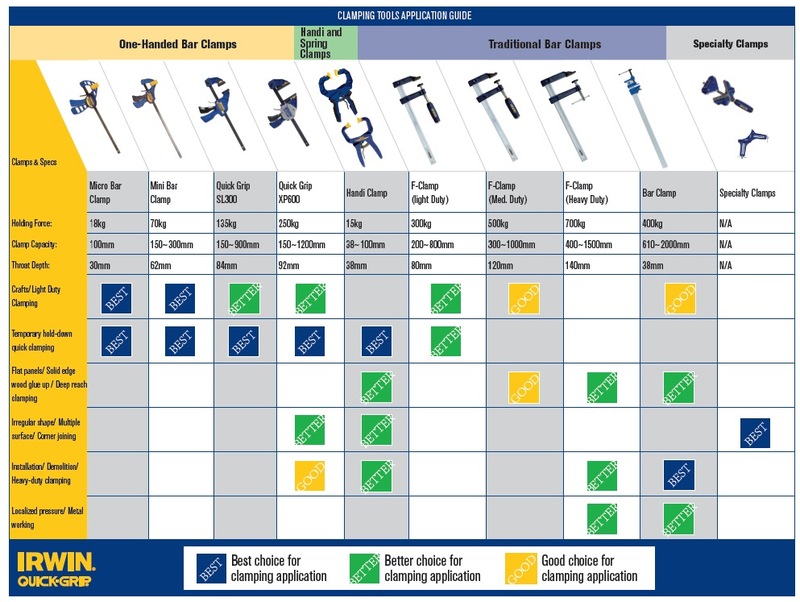 IRWIN QUICK GRIP HANDI CLAMP is rated 4.5 out of 5 by 2. 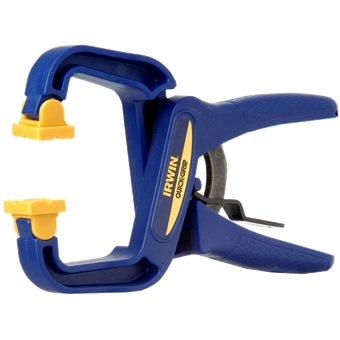 Rated 4 out of 5 by Ian Koo from IRWIN QUICK GRIP HANDI CLAMP Works well as a quick grip. Had to add a piece of foam on the face of the grips so that I could clamp objects harder. 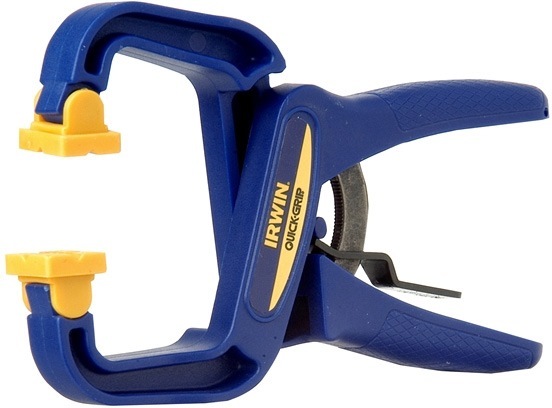 Rated 5 out of 5 by kc gan from good deal I purchased Irwin Quick Grip (101mm). It has a good material build, though the metal part of the handle does rust. Does not require oiling, overall good purchase.